with Vas Narasimhan (@vasnarasimhan), Jorge Conde (@jorgecondebio), Vijay Pande (@vijaypande), and Sonal Chokshi (@smc90) On average, only 1 out of 20 medicines works when we actually bring them into the human body, and these rates of success haven't moved much in the pharma industry overall in the past 15 years, despite much scientific progress. Because if you really think about it, it's incredible that we find any human medicine that works at all, given that human beings are the product of billions of years of evolution, and represent an incredibly complex system we do not fully understand. Yet the business of the pharma industry -- and Novartis in particular, which covers everything from generics to innovative medicines -- is not that different from other large enterprises when it comes to managing R&D and pipelines of ideas, talent, and sales. So in this conversation, a16z bio general partners Jorge Conde and Vijay Pande with Sonal Chokshi interview Vas Narasimhan, CEO of Novartis. How does the world's largest producer of medicines in terms of volume -- 70. billion. doses. a. year. -- balance the science and the business of innovation? How does an enterprise at such vast scale make decisions about what to build vs. buy, especially given the fast pace of science today? How does it balance attitudes between "not invented here" and "not invented yet"? Narasimhan also takes us through the latest trends in therapeutics, such as cell and gene therapies (like CAR-T for cancer and more); RNA-based modalities; and others -- a sweeping tour from small molecules to large molecules to proteins and other modalities for making medicines. But where does tech come into all this, and where are we, really, on science becoming engineering? Why do both big companies and bio startups now need to get market value signals (not just approvals!) from payers earlier in the process of making therapeutics? And beyond all that, how could clinical trials be reinvented? Finally, what should all scientific (and all technical) leaders know when it comes to leadership? 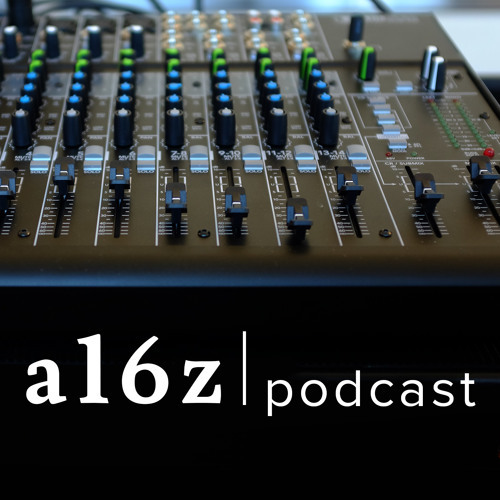 All this and more in this episode of the a16z Podcast, recorded recently on the road while at the J.P.M. health conference in San Francisco. @parkafterdark69: Thanks. I found other way around.